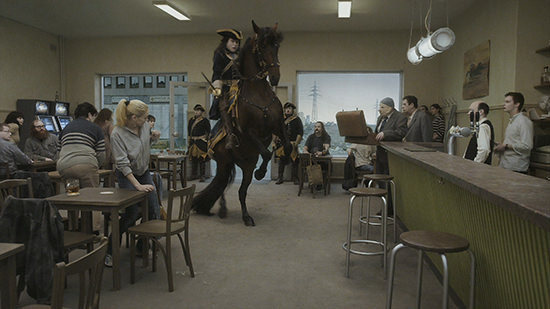 Roy Andersson’s Venice Gold Lion Winner A Pigeon Sat on a Branch Reflecting on Existence captivated cinema audiences with absurdist humour loosely centred around two salesmen selling joke toys, badly. 3 copies courtesy Madman Entertainment. Giveaways are open to RealTime subscribers. By entering this giveaway you consent to being subscribed to our weekly E-dition. You can unsubscribe at any time.